Anyone that watched the games against Castres (home and away), Gloucester and Leinster will tell you an altogether different story. Arm-wrestle of a match aside, there were some worrying sights in Munster's 9-7 Champions Cup victory over Exeter Chiefs. 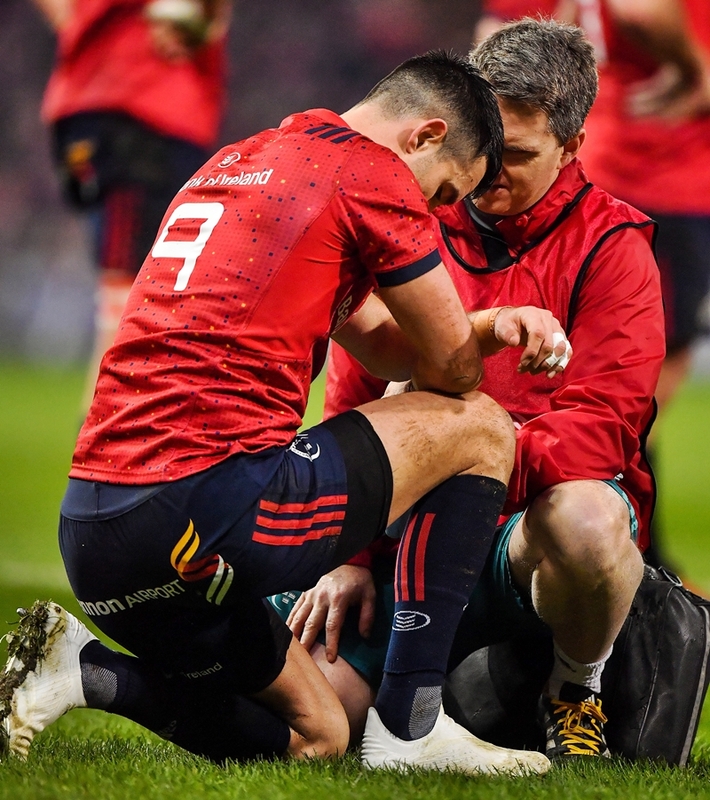 The first was Conor Murray receiving treatment, and looking in some discomfort, after receiving a hefty blow and some will have feared the worst after his lengthy lay-off, late last year, for a neck injury. Exeter battled fiercely in Limerick and turned the game into a war, and there was more uncomfortable viewing when Murray, under pressure, made a few rash decisions that spurned scoring chances or left his team scrambling. Murray's box-kicks were still dialled in and he made a couple of decent snipes and passes in a game that saw possession turned over with manic frequency.  On Baz & Andrew's House of Rugby [from 3:00 below], Barry Murphy and Andrew Trimble gave their take on Murray's performance in that victory and allayed any injury fears Irish fans may have, heading into the Guinness Six Nations. 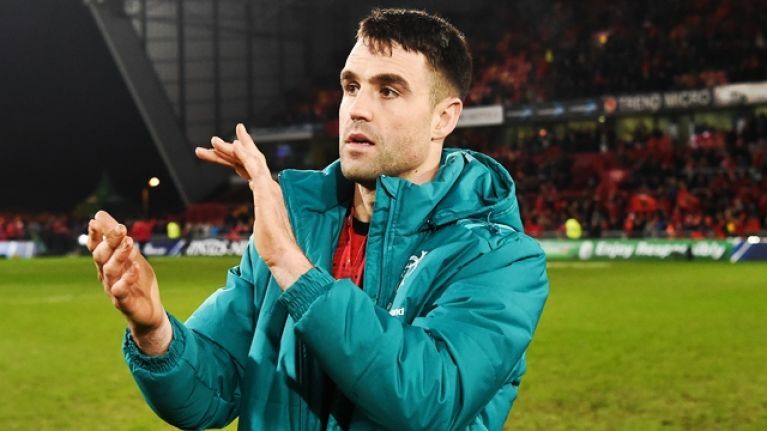 "Joey Carbery and Conor Murray were a little bit off," said Murphy. "Murray got a knock, early on, to his neck or shoulder, that mysterious one that was giving him trouble last year. He played on for 65 minutes and, speaking to him after, he said he was fine. 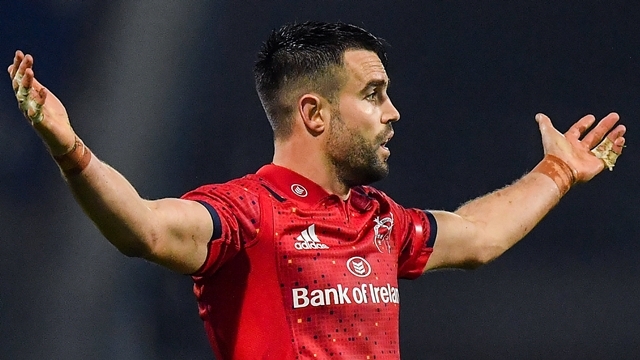 It was not Murray's finest game in the Munster red, but to suggest that the scrum-half has been under par since his comeback, in late November, is wide of the mark. 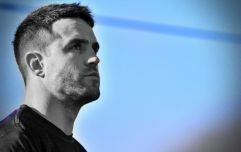 On the BBC's Rugby Union Weekly, England scrum-half Danny Care and host Chris Jones discussed that odd occurrence of Murray not being up to his world-class best. JONES: "Conor Murray has been kicking brilliantly but I just wonder if he is not quite up to full sharpness. Looks a little bit rusty; six months out with a neck injury." CARE: "Yeah, still pretty good for rusty! But I know what you mean. Doesn't look as abrasive or aggressive as he normally does but I think that is going to come in a couple of weeks." It is much more likely, for anyone that has followed Murray's progress since he made his comeback against Zebre on November 24 (four and a half months after he last lined out, for Ireland) that the 28-year-old was not at his best due to that jarring knock and the intensity of the Exeter side he was up against. Like many of Joe Schmidt's squad, Murray is unlikely to be involved in Guinness PRO14 action this weekend. We will only know if his good but not great Exeter performance was a blip when we see him face off against England and Scotland, but we suspect that is all it was.